MY FAMILY: A LAW TO HELP PROTECT EAGLES. FACTS ABOUT HEALTH AND EATING. A LAW TO HELP PROTECT EAGLES. ADVANTAGES AND DISADVANTAGES OF WATCHING TV. Many species are now in danger of becoming extinct. 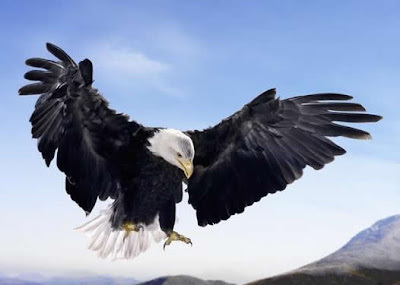 One of the most importants is “the eagle”, because many people pursue, shoot, poison, wound, kill, capture, to set a trap, collect, molest o disturb, sell, import or export their eggs. I think a good way to control the problem would be prohibit the sale, possession, export or import of this specie, and I also think that should increased civil penalties, or in other words people who attack these beautiful birds should get a punishment, I believe penalties could include a maximum of six years in prison, laws should be more stricts, in this way people who commit this kind of crimes will learn the lesson and will think before do it. Unfortunately most of people are unconscious and don´t realized they are ruined their natural habitat, depriving them of food and shelter. And is sad to see how a specie disappear, by this reason if you are interesed in helping the eagles you can help them include making monetary donations and supporting groups that help the eagles. I think their situation will improve because of these efforts and with each person who helps, and I believe their chances of surving will be better.